The verdict is in! The REMOS GX Series aircraft is real fun, safe and easy to fly. Perhaps that’s the most important reason why the REMOS GX Series has been so successful for over two decades. Over 450 are flying throughout the world. Each aircraft is engineered and handcrafted in our facility in the North-Eastern part of Germany in Pasewalk, Mecklenburg-Western Pomerania. REMOS AG joined the Stemme AG stable in November, 2017. 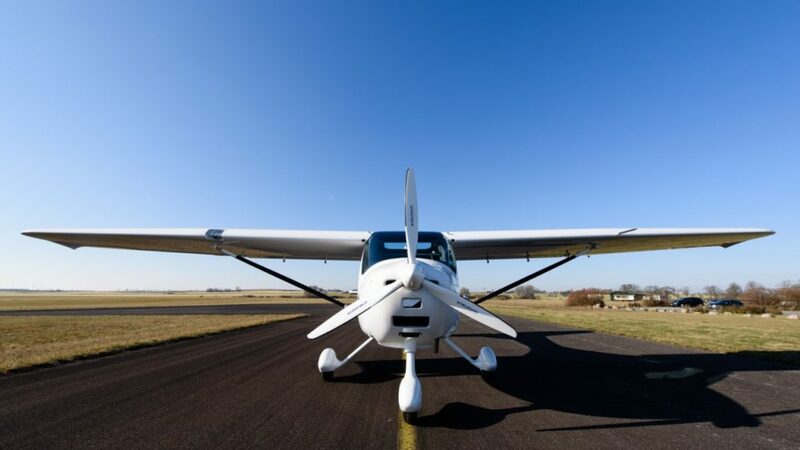 Powered by the well-proven Rotax 912 S, rated at 74 kW (100 hp), the REMOS GXNXT (or GXnXES as it is named in the U.S.) is a very efficient aircraft that saves money with every hour of flight. The cockpit offers a second to none avionics suite featuring Dynon SkyView flight displays. The GXnXES is built with carbon fiber materials offering extreme light weight and incredible strength. The cockpit is reinforced with layers of aramid for increased safety. With these strong and lightweight materials, the REMOS GX Series aircraft offer one of the highest payloads in its class. As an added safety feature, the GXnXES comes standard with a ballistic parachute recovery system. You should expect nothing but the best from your REMOS, especially when it comes to avionics! We deliver the REMOS GXNXT/GXnXES with the best avionics available, manufactured by Dynon, Garmin, and PS Engineering. The core of the avionics suite is the Dynon SkyView with a 7-inch screen, available also in the latest HDX edition, which has an extra bright display and higher resolution. 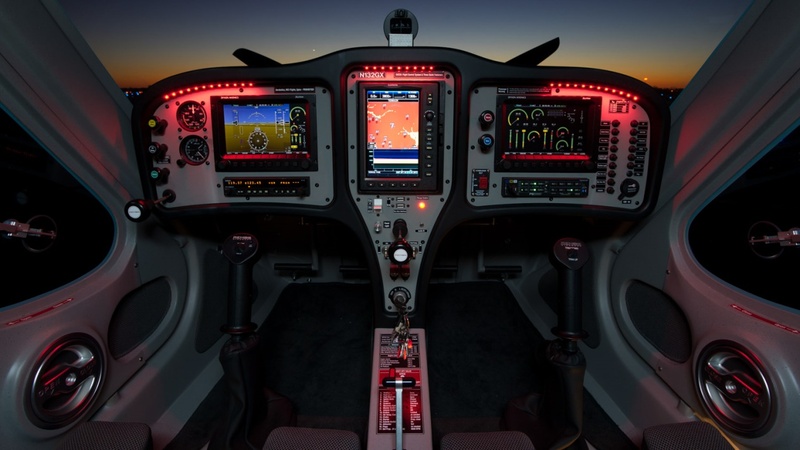 The EFIS by Dynon Avionics offers everything you would expect from a modern glass cockpit including a three-dimensional terrain view. As an option, the GXnXES is available with a Garmin aera for advanced GPS navigation. 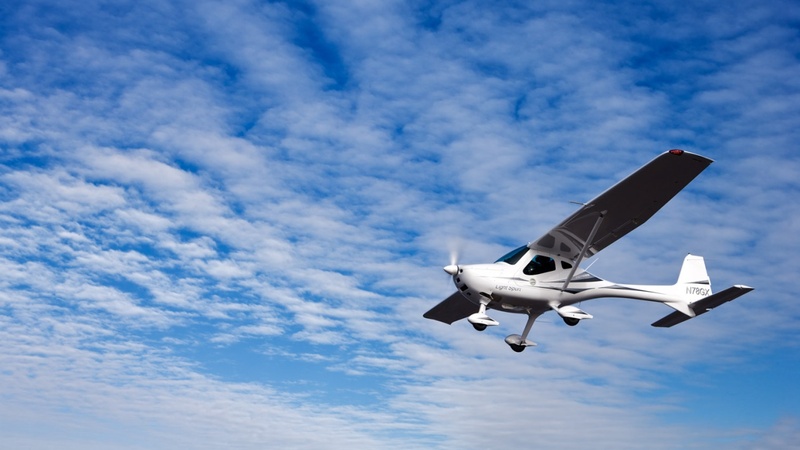 Another convenient benefit offered by the REMOS GXnXES is its current fulfillment of the ADS-B out regulation that will become mandatory in 2020. REMOS also offers ADS-B in, which provides traffic and weather information on both Dynon screens (U.S. only). An 8.33 kHz radio which is mandatory in Europe is also part of the standard equipment. Having extreme docile flight characteristics, the REMOS GXnXES flight controls are very light and responsive. Between the responsiveness and well-balanced structure, the aircraft has great maneuverability and benign stall characteristics. With a cruise speed of 100 kts, the REMOS GXNXT/GXnXES holds its own in cross-country performance. The exceptional visibility gives you a great flight picture, making your flight easier and more enjoyable. It’s very important that you feel comfortable in the cockpit of your airplane! 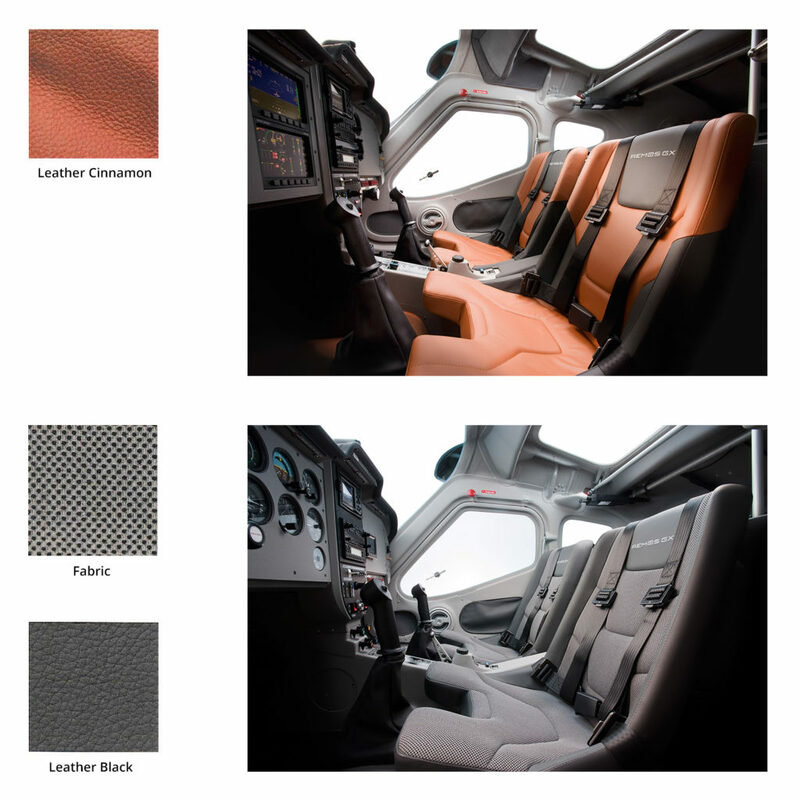 That’s why REMOS created the cabin of the GX Series to be 4 inches wider than the well-known Cessna 172. You can choose between two different REMOS carbon seats. One is a dark leather-fabric combination and the other is a beautiful cinnamon leather. The REMOS GXNXT/GXnXES offers the latest in style, comfort, cockpit innovations, and safety features. The REMOS GXNXT/GXnXES is available in a dynamic exterior design scheme. It’s being offered in multiple color combinations and enhanced with metallic effects.